Post their wedding on 1st January 2017, Chiang Hung-Chieh and Ai Fukuhara have been living a rather low key happily married life in Germany. But today, 18th April 2017 in Incheon, Chiang was not happy man. At the Seamaster 2017 ITTF World Tour Korea Open, he lost the opening match of the qualifications in men's singles and revealed the reason behind his weak form. Chiang Hung-Chieh is happily married, but an injured shoulder is causing him troubles. “I was feeling very sick today and I could not perform very well, in normal circumstances I should have won,” said Chiang Hung-Chieh after the loss against host nation’s Choi Inhyeok in six games (9-11, 11-6, 11-9, 10-12, 13-11, 11-9). The 17-year old unranked Korean displayed his dominance throughout the match, while Chiang Hung-Chieh, who stands at no.87 in the global ranking, struggled with an aching shoulder. Ever since the announcement of his wedding with Japanese table tennis star Ai Fukuhara in September 2016, Chiang Hung-Chieh has been participating on the world tour but the performance has not been up to the mark. He was present at the 2016 ITTF World Tour SheSays China Open, where he was knocked out in the round of 32 by Korea Republic’s Kim Minseok in straight sets. Later, at the Austrain Open he lost to Germany’s Ricardo Walther and at the Swedish Open, he lost to Portugal’s Tiago Apolonia. At the ITTF World Tour Qatar Open this year, he crashed out in the qualification groups, losing out to Jang Woojin (KOR) and Ng Pak Nam (HKG). “The real reason of the weak results I am experience lately is due to a shoulder injury I am having for more than half a year, I am doing a treatment and taking pain killer pills everyday,” explained Chiang. “My priorities have not changed, I am still focused and I am very lucky to be married with another table tennis player as she supports me and understands me very well,” he continued. 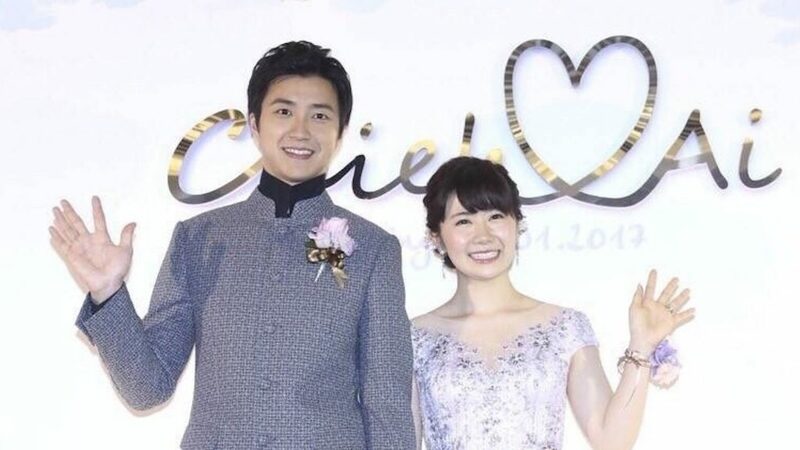 Ai Fukuhara has drastically changed roles and since her wedding, she has been supporting Chiang in his recovery. She has not been participating in any of the national or world tour events and seems to have taken up domestic responsibilities. Together, they now live in Taiwan. Due to injury, Chiang will not be present at the World Table Tennis Championship in Düsseldorf from 29th May- 5th June 2017. However, he hopes to be fully recovered to take part in the ITTF World Tour Platinum Events in Japan (16-18 June 2017) and Australia (4-7 July 2017). But the main goal for 2017? A successful recovery from the shoulder injury thus becomes inevitable to get back in form for Chiang Hung-Chieh.